The mod is filled with random content, including tools, weapons, energy generators, and other miscellaneous items. All of the items in Mekanism are ranked according to a tier-based system. That system organizes core features into Basic, Advanced, Elite, and Ultimate tiers. Basic is the simplest tier, while Ultimate is the most complex. Players upgrade tiers by placing the component into a crafting grid and surrounding it with the necessary resources for the next upgrade. This is where a mod like NotEnoughItems comes in handy. All items in Mekanism are designed to complement one another. To simplify the mod, the mod’s creator has released a few separate modules. Download and install the modules you wish to use and enjoy! All modules can easily be installed using Minecraft Forge. This mod has been downloaded over 2 million times in total, making it one of the most popular mods in Minecraft today. 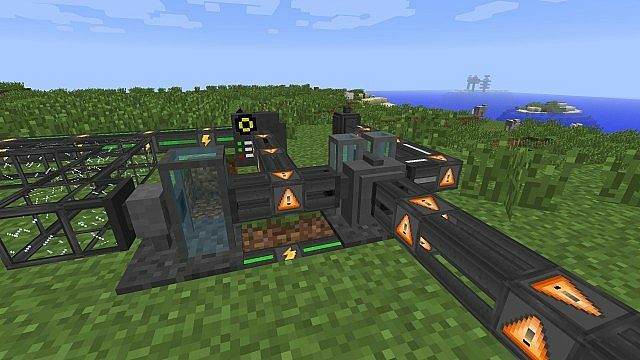 It’s popular with anyone who wants to get a lot more out of vanilla Minecraft’s crafting and energy exploitation system. The ultimate goal of Mekanism is to make really cool new items. You can make a “near indestructible suit of Obsidian Armor”, for example, and use tools that give you four ingots of ore for each ore you mine. You’ll also enjoy the ability to fly around the map using a hydrogen-powered jetpack. You can even craft your own cute robotic friend to follow you around! Of course, you’ll only get to enjoy these powers if you take the time to exploit each and every tech tier of Mekanism. Fortunately, all that hard work should pay off.